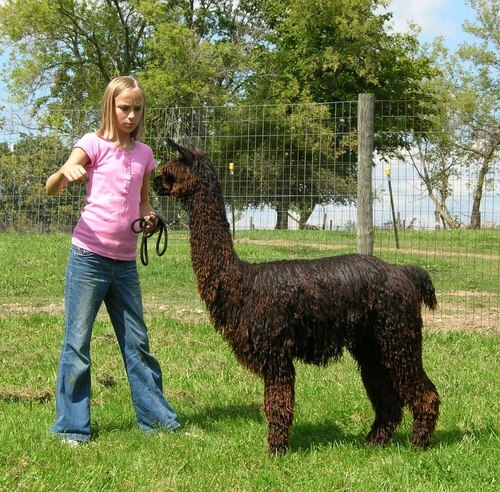 MI Alpaca welcomes you to the wonderful world of alpaca farming in the Great Lakes State! 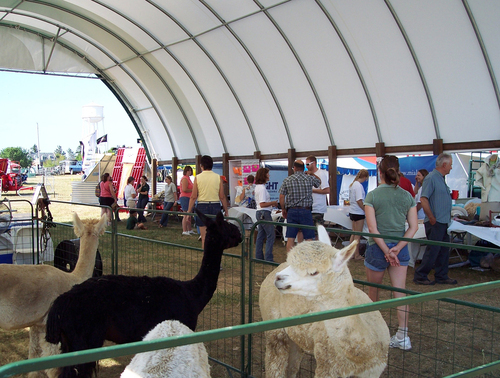 We exist to support and enhance the alpaca industry and promote alpaca farming in Michigan. 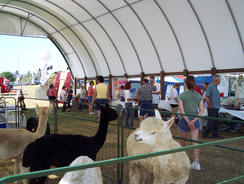 Alpaca farming in The Great Lakes State is very popular because alpacas are well suited to the cold winters with their incredibly warm coats of fiber and do equally well during hot summer days after they have been shorn and their fiber made into beautiful, locally-made alpaca products. With an abundance of experienced alpaca breeders, veterinarians, and the support of MI Alpaca, farming here is rewarding, fun, and a great business to involve the entire family with! Locate an alpaca farm near you and set up a visit today and experience these incredible creatures for yourself! MIAF - Michigan International Alpaca Fest 2018! Join us for the MIAF Show, October 13-14, 2018 at The Summit Sports and Ice Complex, Dimondale, MI 48821! For more information, go to www.alpacafest.org. Content copyright © MI-Alpaca and its respective members.